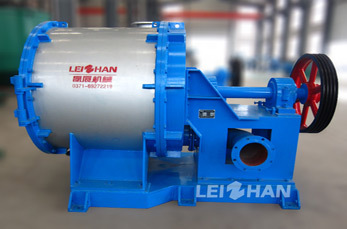 To separate the light and heavy impurities in the recycled fiber pulp, Leizhan pulp separating equipments like ZDFD Series Single Effect Fiber Separator, PZ Series Reject Separator, and ZDF Series Single Fiber Separator can be used for secondary screening and breaking to make pulp in a higher quality. The use of high quality materials allows the separators to be used in many different applications. 2. separating the light and heavy impurities from the pulp. 2. It also can be used as tail pulp treatment equipment. 3. Specially designed impeller can break fiber effectively. 4. Automatically discharge according to requirement, run reliably. 2, Rotor blades has high pulp fiber separation ability. 4, Utilizing water spray device, raise fiber recovery. 5. Openable upper cover makes it easy and convenient to maintain.